By studying your profile and business needs, our aim is to identify the most efficient and cost saving solutions for you. By utilizing the relationships we have with some of the largest integrators and service providers, as well as using our own customized routes, we can achieve a timely delivery of documents and parcels globally? This service also caters to the needs of wholesalers and large organizations. Through our outbound service you can choose any of our time critical services or the normal day delivery. Day delivery means that the shipment will be delivered within the normal transits times, but no condition on the delivery time may apply. So the receiver may receive it anytime during the day, and within usual working hours at destination. Time critical delivery allows you to chose to have the shipment delivered before 9:00am or before 12:00 pm, and this will happen on the next possible business day. 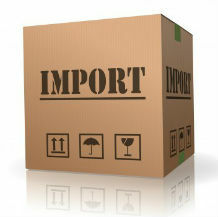 Ask us to ship your documents or packages from mostly anywhere worldwide into your door. With a fast transit, and a reliable service, your shimpments can be picked-up, shipped, cleared from customs if needed, and delivered to your door. 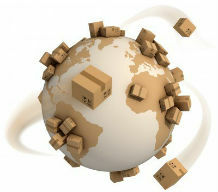 With the Domestic service, we target large distributions of shipments within the country. This service allows large customers to get an overnight delivery for their shipments within the country where they handover the material to us. For some regions, or areas, this could be a same day delivery. This is intended to be a solution to regular business where we can organize standard procedures and operation depending on the customer location, shipments' profile, etc. The target businesses are international express wholesales, e-commerce companies, local organizations with regular or spot distribution needs.